​Dr. G. Allen Goode is a chiropractor in Memphis, TN.Dr. 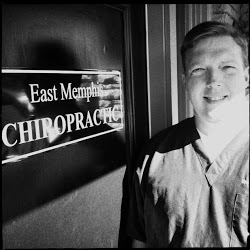 Allen Goode at East Memphis Chiropractic has been treating patients in the Memphis area for over 15 years. East Memphis Chiropractic is dedicated to improving the health of our patients through the benefits of chiropractic care. East Memphis Chiropractic is the first to offer NeuropathyDR therapy for individuals and their loved ones afflicted with peripheral neuropathy. There is no cure for this disorder, however the NeuropathyDR treatment protocol has been exceedingly successful in improving the pain associated with neuropathy and reduce the medications prescribed by traditional physicians. Dr. Goode also treats conditions such as low back pain, neck pain, herniated or degenerated discs, headaches, sciatica, radiating pain in the arms or legs, as well as many other nerve related conditions through non invasive spinal decompression, muscle stimulation therapy and chiropractic adjustments.